I love to incorporate natural elements in the images I take for families. Whether it be a family tree or the vacation home rocking chairs, the elements add to the story being told. Hence, they become part a lasting memory of the moment. Southeastern Seminary, located 1 block from downtown Wake Forest and only a 20 minute or so drive from Raleigh, is full of natural elements. For this session, we used a number of the elements that the campus has. One of the most popular is the boulder that the family is sitting on. Mom saw it and immediately loved it. It made for a great sitting location and anchor point for the first image of the day. However, the second element is what gives the image the context. With the sun fading behind the horizon, the warm glow of fall filtered through the leaves of the tree leaves in the background. This touch of color provides a great contrast to the somewhat otherwise bland background and kicks a beautiful warm rim light on the family, which helps give them some separation from the darker background. This particular image was the second of the session and the start of an absolutely fantastic photography session in wake forest. 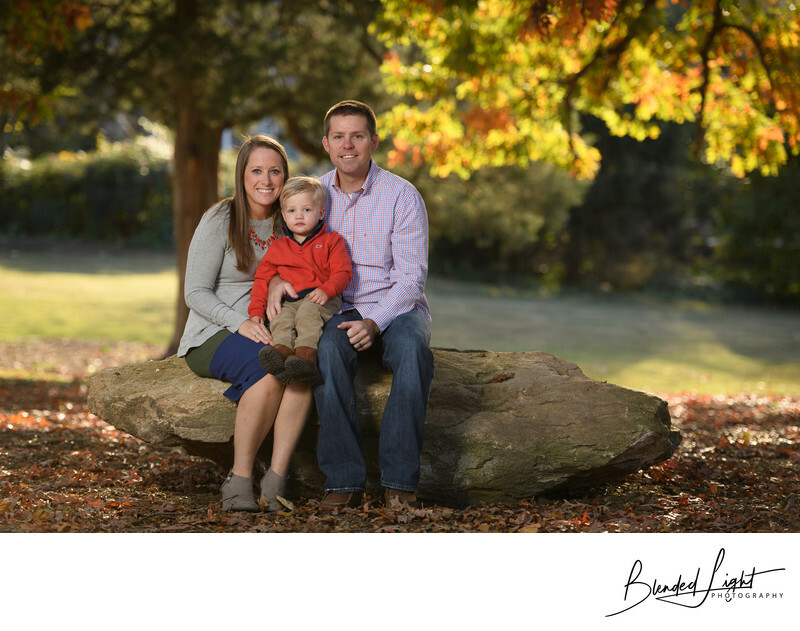 It was such an honor to work with this couple and their son and the glowing reviews from both them and their friends show that the session was true success. Location: 222 N Wingate St, Wake Forest, NC 27587. 1/125; f/3.2; ISO 100; 122.0 mm.